The all-new OnePlus 6T is said to be subjected to various leaks as well as rumours. In the recent leak, it has been seen that the cases of the OnePlus 6T are now selling online on the website. As per reports, OnePlus 6T is said to get the launch on October 17th, 2018. The renders along with the teasers from the company have already given a fair idea about the look of the smartphone. The OnePlus 6T smartphone has got a water drop shaped notch along with a dual camera setup which was placed vertically at the back side of the smartphone. As per some fresh leak reports, the case maker, Olixar website, now selling the cases for the OnePlus 6T on its website. It has been seen that Olixar has got about 5 cases on the website which is up for pre-order. 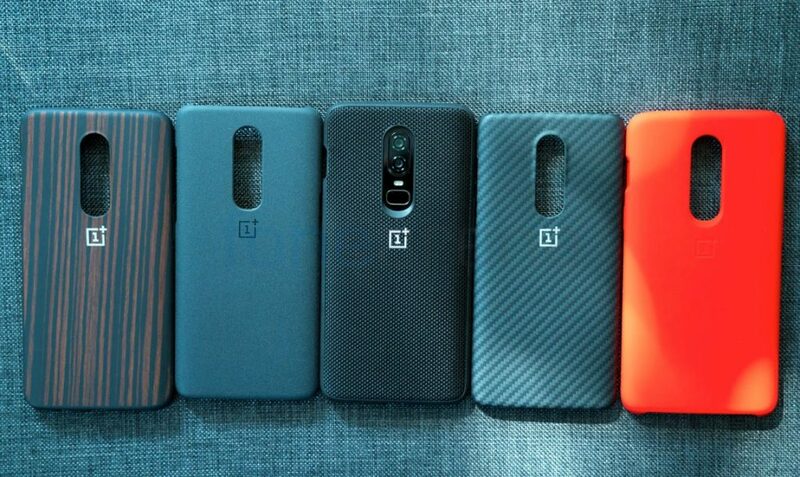 These cases include FlexiShield OnePlus 6T Gel case, Ultra-Thin OnePlus 6T Gel case, Sentinel OnePlus 6T case, ArmourDillo OnePlus 6T protective case and Farley RFID Blocking OnePlus 6T Executive Wallet case. The cases that are for sale shows a water drop-shaped notch that is present on the front side. This indicates that the OnePlus 6T will be getting a screen to body ratio. The MySmartPrice first spotted the leak of this case. As per the leaks, it shows that this all-new smartphone will get an in-display fingerprint scanner which is known as Screen Unlock. The phone will be getting a 6.4-inch Optic AMOLED full HD+ display. OnePlus 6T will be powered by the Qualcomm Snapdragon 845 SoC which is coupled with 6GB RAM as well as 8GB RAM options. The phone has got a 256GB of onboard storage. The phone will be getting a battery capacity of worth 3,700 mAh. It will be running on Android 9.0 Pie. Last week, the CEO of Company Pete Lau had confirmed by saying that OnePlus 6T smartphone will not be coming with wireless charging nor with any IP rating. It will not have any headphone jack too. He also hinted by saying that this new smartphone from the company will cost a little bit higher than its predecessor OnePLus 6. With the recent leak about the cases of OnePLus 6T, it seems that the earlier leaks about the phone are true. But there is no official confirmation about them except some of the leaks, so we need to wait till the launch event to determine it.